My baby is 4 months now. 4 months people! I didn’t realize how quickly time went by until I had kids. It is sad having babies grow up, but it is also fun and exciting. New milestones, new skills learned, and I love watching my kids grow into their personalities. Halli has a strong and determined little personality. She likes to be involved with whatever is going on and thinks she is much bigger than she is. She has really good head control and is comfortable sitting up with help. A baby seat was perfect for her. 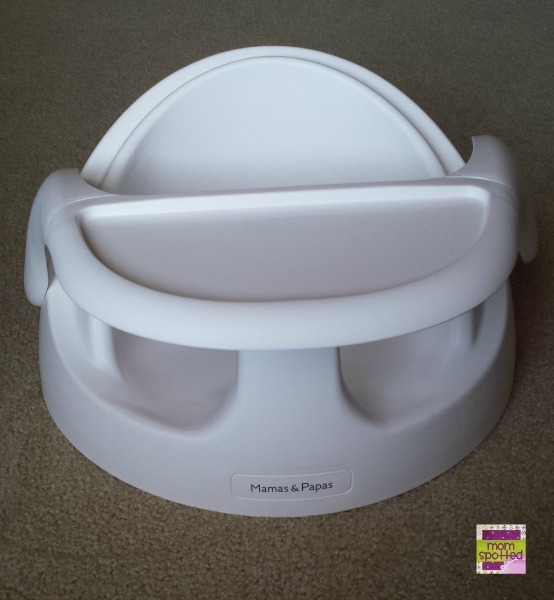 I was absolutely THRILLED to try out Mamas & Papas infant positioner called the Baby Snug. It is definitely the perfect floor seat for baby. It has a really wide base that I know she is stable in and will not tip herself over. The back comes up high and gives her excellent support. 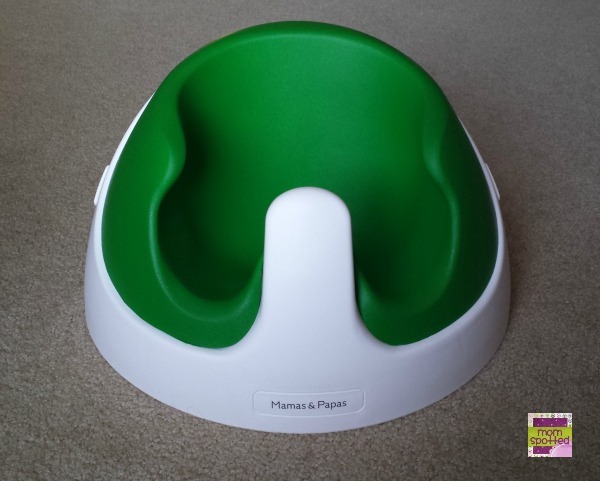 The green insert is soft, and easy to wipe clean. I cannot say enough good things about this chair. I have really chubby, big babies. 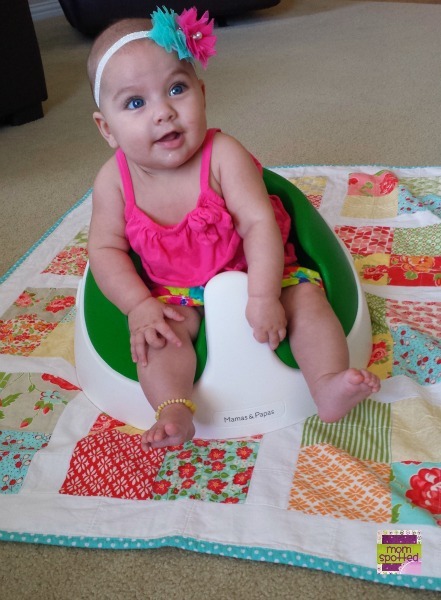 Halli is in the 98 percentile for height and weight. She has been wearing 6 month clothes for a while now and is in 9 month pjs because she is so long. The girl is big and healthy. I don’t think there is anything better than a baby with lots of chunky rolls. But baby seats are often to tight and uncomfortable for my big chubby babies. By the time she has the head control and is old enough to use one, her thighs are squeezed and get stuck in the chair. There isn’t much room to move, and there is no way she could grow with any of them. BUT! the Baby Snug is so wonderful, and comfy. 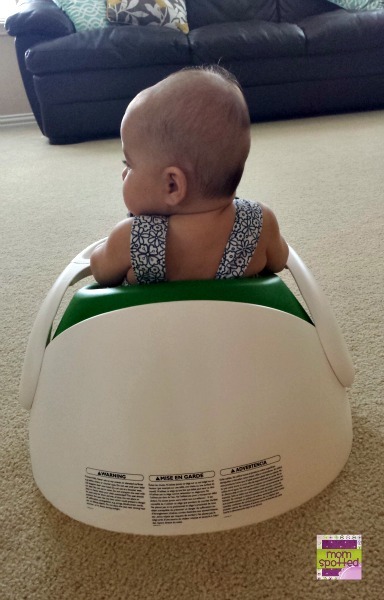 It is the perfect solution for our cute chubby baby problems. There is room to grow but not so much she is sliding out of the chair. Best of all her thighs do not get pinched or stuck as I am getting her in and out of the chair. I know she is comfortable and safe sitting in the Baby Snug. I have saved one of the best features for last. 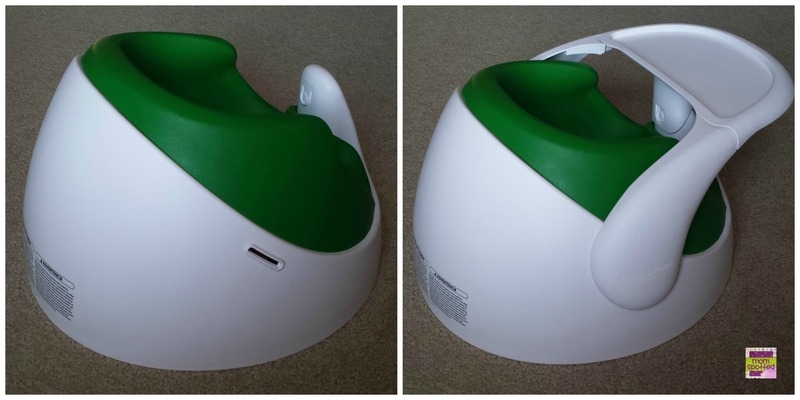 That separates the Baby Snug from all other baby seats… that green part. It is an insert that comes out!! So when my chunkalicious Halli has grown out of it, I can remove it and she can continue to use the white base as a chair. This chair would be great for so many uses and places. It is lightweight and would be perfect for Grandmas, the park, a friend’s house, etc. I am so excited for the Baby Snug to grow with Halli and be used for a long time. The Baby Snug with the insert is great for babies 3-12 months and without the insert is suitable for 12+ months. It also comes in really bright fun colors such as raspberry, teal, plum, red or this great apple green. The Baby Snug is available for purchase for $59.99 directly from the Mamas & Papas website, Babies R Us, or from our affiliate Amazon. Right now one (1) Mom Spotted readers has the opportunity to win a Baby Snug. To enter use the Rafflecopter form below. Contest ends 8.19.13 at 11:59pm. For Official Giveaway Rules click here. Affiliate links used. I’d love their Sola stroller. I would love the Juice High Chair in Apple! I would love to own the Urbo Stroller – Lime Jelly! I would love the Juice high chair. I like the juice high chair. I’d like the Comfort Baby Carrier – Plum Pudding. Looks very nice! I like the Boys Limited Edition 3 Piece Sweater set with Shirt & Chinos. I like the Sola stroller in red! I would love a juice high chair! I’d love the high chair. I love the Sola Stroller! I like the Urbo Stroller – Purple. I like their 03 sports stroller in black! I like the Juice High Chair – Apple. I love their new clothing line, such cute stuff for my little guys! I like the topaz rocking horse. I wish they had these chairs years ago! I like the Crib Mobile – Jamboree. Thanks. I’d love to have a Sola Stroller! 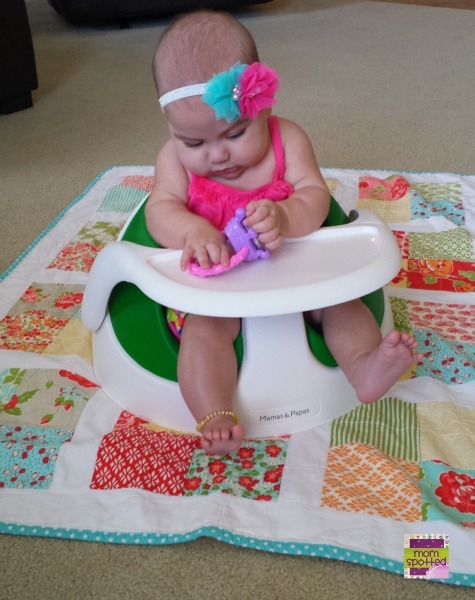 The Juice High Chair would come in very handy! I love the Sola Stroller in Lime.